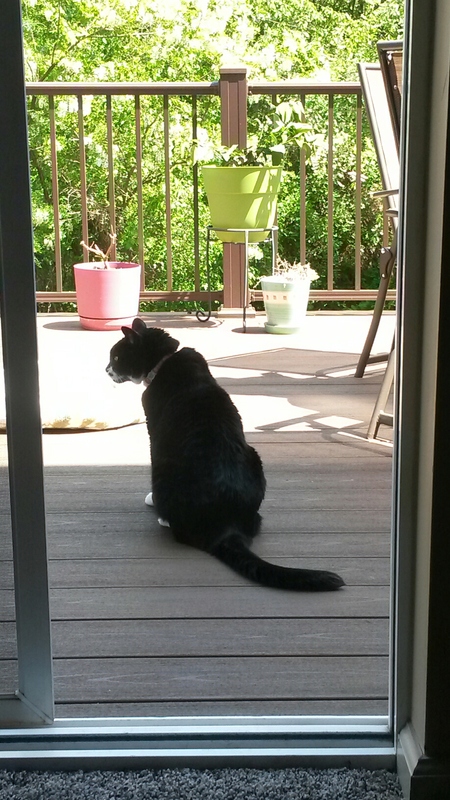 Sushi was out on the deck enjoying the lovely weather. Today she spent about 15 minutes out there before being spooked by WebMistress walking over to the door. Hooray for spring!! 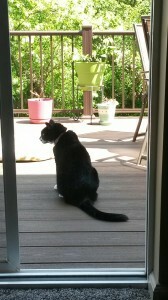 Sushi on the deck...surveying her territory!